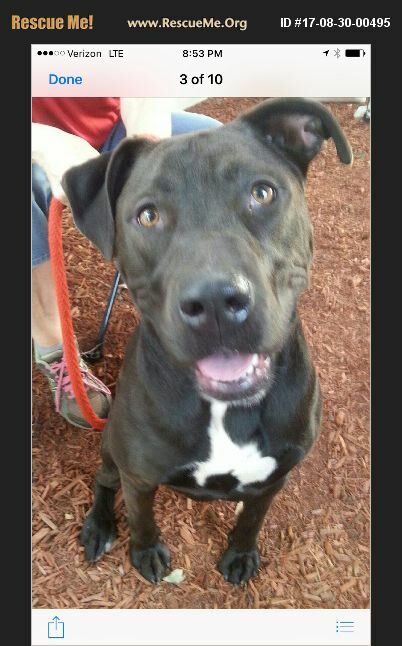 Brooke is a black lab mix with a white patch on her chest. She is spayed up to date on shots. Brooke loves to chew on chew bones. plays well with other dogs and is good with kids. She is very gentle with people and like a big mush that just wants love. She walks well on a leash. Brooke has a lot of energy but also will lay quietly by a human and relax. She likes to have her chest rubbed. She was left at a high kill shelter as her family was moving. Brooke would love to find her forever home soon as her foster family cannot keep her much longer. If anyone is interested in meeting Brooke please contact Bright Starz. I offer foster to adopt for 1 to 2 weeks if interested.